Headings like “Is ICC recolonizing Africa?” were common during the past weeks in African newspapers across the continent. It does not come as a surprise, as African leaders decided on 26 May 2013 during an African Union (AU) meeting that the trials against Kenyan President Uhuru Kenyatta and his deputy William Ruto should be sent back from The Hague to a national court in Kenya. The motion was brought up, quite ironically, by Uganda and reportedly supported by all AU member states with the notable exception of Botswana. This move is short-sighted and strengthens impunity on the African continent. The new Kenyan leadership used their state powers to lobby African leaders through the AU to refer the continent’s cases to their respective countries or else the AU members will withdraw their International Criminal Court (ICC) membership. The AU Chair, Ethiopian Prime Minister Hailemariam Desalegn, led African leaders in a denunciation of the ICC for its alleged racism and selective justice against Africa. Mr. Desalegn reportedly said the ICC was head-hunting African leaders for persecution, and called it a racist institution. “The intention was to avoid any kind of impunity, but now the process has degenerated into some kind of race hunting,” Mr. Desalegn told the press. In contrast, many human rights NGOs were quite outraged about this move from Kenya. “The African Union must reject Kenya’s attempts to shield its leaders from being held to account for the human rights violations that took place in Kenya in 2007-2008,” said Netsanet Belay, Amnesty International’s Africa Program Director, in a press statement. At no point before the United Nations (UN) or the AU has the Kenyan government mentioned the needs of the victims of the post-election violence, their cries for justice, reparations, and guarantees of non-repetition. Five years ago more than 1,000 people died and up to 600,000 were displaced in Kenya. Instead of putting these victims into the center, the Kenyan leaders present themselves as the “real” victims. Currently, the ICC has indicted 27 Africans from seven countries, all of them African: Central African Republic, Côte d’Ivoire, Democratic Republic of Congo (DRC), Guinea, Kenya, Libya, Sudan, and Uganda. However, ICC Chief Prosecutor Fatou Bensouda, the Gambian lawyer who took over from Argentinean Luis Moreno-Ocampo in mid-2012, is undertaking preliminary investigations into alleged crimes committed in Afghanistan, Colombia, Georgia, Honduras, and Korea as well as two more African countries, Guinea and Nigeria. Forty-three African countries have signed the ICC’s 1998 Rome Statute and 34 have ratified the document, making Africa the most heavily represented region in the court’s membership (as Eastern and Western Europe are in different groups). One of the major problems for the ICC is the double standard of the United States (U.S.). The U.S. still is not a party of this treaty. However, in the cases of Sudan, Central African Republic, Uganda and the DRC, the U.S. had no objection to the course charted by the ICC investigations. The approach is selective: it targets governments that are adversaries of the U.S. and ignores U.S. allies, effectively conferring impunity on them. Others blame Europe arguing that the ICC has emerged as a de facto European Court that is funded and directed by Europe and with an exclusive focus on Africa. In short, the ICC would serve Western political and economic interests in Africa. 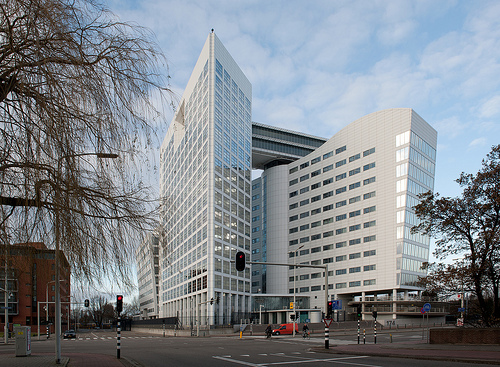 As a matter of fact, the ICC was established as an impartial arbiter of international justice. Long demanded by civil society, a coalition of NGOs was able to reach the critical mass to bring global justice on a further step. Clearly, the ICC is meant to embody and pursue universal justice related to genocide, war crimes, crimes against humanity, and ethnic cleansing. For many lawyers, human rights activists and all those that want to see an end of impunity it is clear: the creation of the ICC was an enormous step forward. Now the claim is that in practice the ICC has been reduced to imposing selective justice of the “West against the rest.” Both the timing and nature of its indictments issued to date suggest that the ICC intervention in situations of ongoing conflict is influenced by broader external factors. It is noteworthy that no ad hoc tribunals were established to investigate war crimes committed by any of the five permanent members of the UN Security Council or those nations these powerful states might wish to protect. Others say that the prosecutor has limited investigations to Africa because of geo-political pressures, either out of a desire to avoid confrontation with major powers or as a tool of Western foreign policy. Mr. Ocampo and Ms. Bensouda always defended the focus on Africa that they were all “self-referrals” by the African countries themselves, or in the case of Sudan, by the UN Security Council. Thus, the ICC Chief Prosecutor is merely responding to spontaneous referrals from African state members of the ICC as their leaders requested an ICC intervention. Kenyan politician Raila Odinga called the attacks on the ICC at a recent speech in South Africa “disturbing and hypocritical.” Mr. Odinga rightly asked why leaders who voluntarily appended their signatures to the Rome Statute that set up the ICC have turned around to condemn the same institution. It is important to remember that human rights are universal and therefore people from across the globe can demand them, including Africans. Africa will only develop in a sustainable way and the current economic growth will be distributed more equally when conflicts are dealt with satisfactorily and sufficiently and the perpetrators are sentenced and impunity is brought to an end. The discrimination against people on the basis of tribe, race, religion, and place of origin has survived colonial rule and continues to be misused by political elites in their own favor. African leaders who face charges at the ICC were referred by their own countries. An exception would the Sudan where the UN Security Council referred to the dramatic situation in Darfur at the time. In sum, African leaders have passed the AU resolution in their own interest to continue acting with impunity and without accountability. This is in strong contrast what their own citizens would deserve: justice, peace, recognition, and reparations. It is not enough anymore in the 21st century, to hide in anti-Western rhetoric although it is getting more en vogue this time around among the political elite. The decision in Addis to move ICC suspects back to the national level was a wrong one. What would be necessary now is a reaction from African civil society from across the continent. It can only be an organized opposition in the respective countries that reminds the leadership that the time of impunity is over and perpetrators should face justice. However, it would be a step forward if regional courts like the East African Court of Justice would be able to expand its powers and deal with human rights violations from the region. This will allow more regional ownership and undermine attempts of political leaders or perpetrators to escape justice. Accountability has to finally win over impunity!